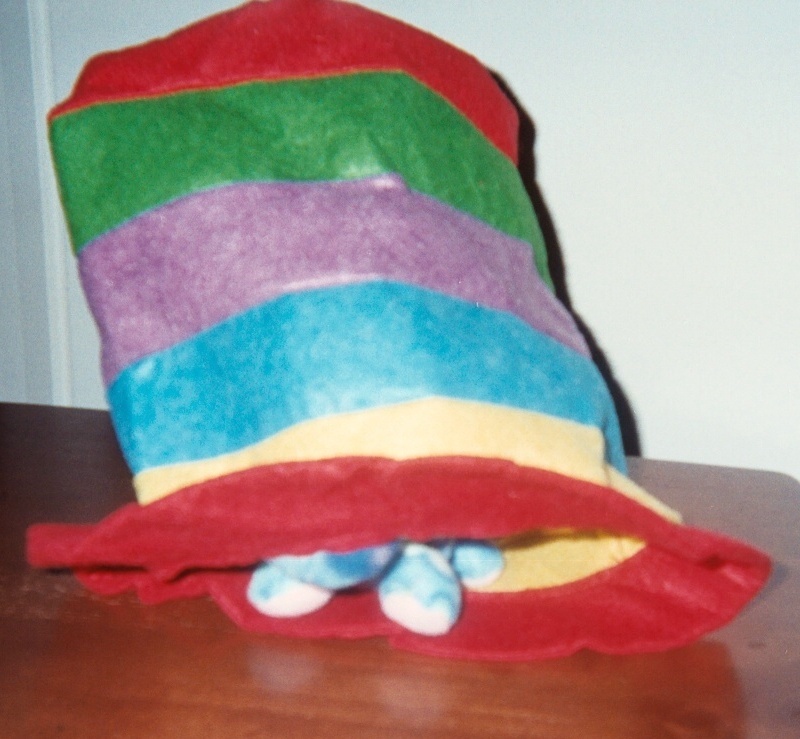 Someone is hiding under a hat that’s shaped like the hat in Dr. Seuss’ book, The Cat in the Hat. Hats, hats, and more hats. Hats have been featured in a number of children’s books. …Dr. Seuss’ The Cat in the Hat. Translated into more than 20 languages, Dr. Seuss’ books have entertained children and adults around the world since it was first published in 1957. Dr. Seuss’ cat’s hat has been copied in various forms and continues to be prized for its eye-catching color and height. It seems “purr-fect” to feature eye-catching books as part of this week’s celebration of Dr. Seuss who was born on March 2, 1904. Teachers in K – 2 classes can open a page on the fun and function of activities with eye-catching books! Maybe BIG isn’t always better, but BIG HATS and BIG BOOKS are clearly eye-catching! 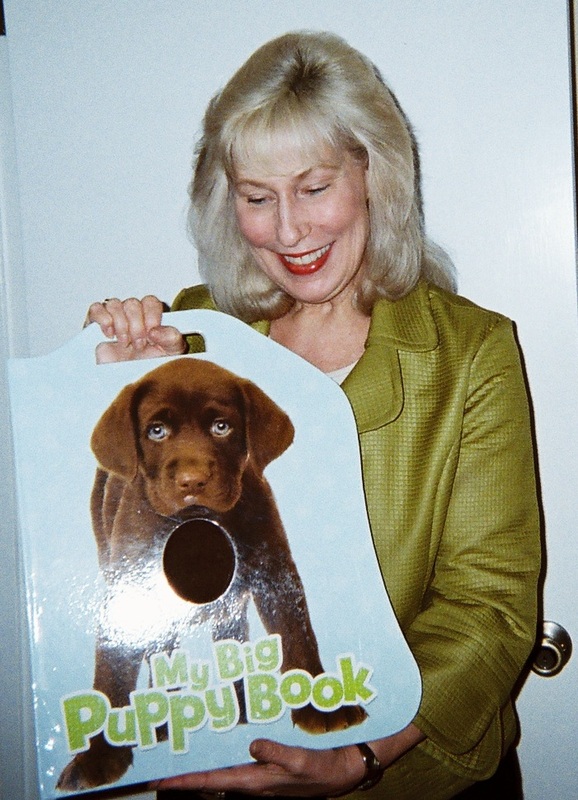 My Big Puppy Book, © Piggy Toes Press, has another eye-catching feature that kids love…a handle for carrying it, as you can see. Books, like My Big Puppy Book that have an additional lovable feature…the soft furry circles at the heart of each puppy invite touching and further engage kids. Love Those Sound Effects! 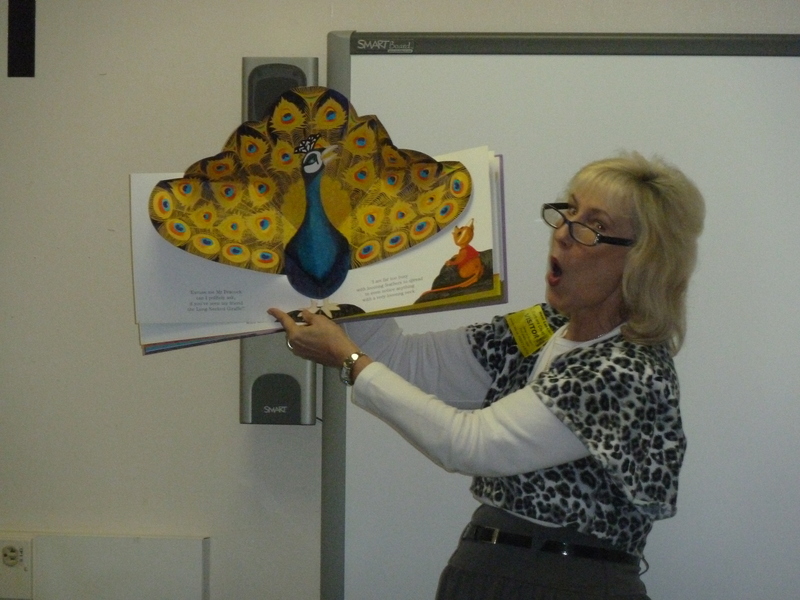 – Challenge students to listen for the sounds of a story or poem. For example, when you’re reading about a haunted house, make a creaking sound and invite the class to repeat the creak. If you’re reading about animals, invite children to make corresponding animal sounds as you turn the page to animal pictures. Add other effects as you continue reading eye-catching and ear-catching stories or poems. 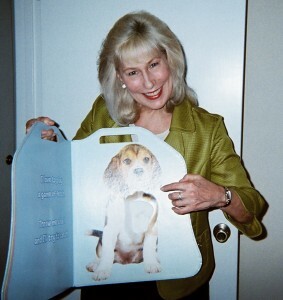 Pop-Out a Pop-Up Book – Sophisticated or simple, pop-up books are eye-catching for children and adults. As you do with “touch-me books,” you can make pop-up books interactive for your listeners, as well as for yourself when you turn the pages. Use word play with key words in the book you’re presenting. One pop-up book I share with students repeats the word long throughout the text. When I read this book to students in grades K – 2, I invite them to say the word long aloud with me every time they hear me begin to say it. We stretch out the word as if it were spelled l-o-o-o-n-g. The kids love the word play and stay focused on the story. Remember, you don’t have to be a magician to work magic in any instructional setting! Please send comments and sign up for my blog. ‹ AND…The Envelope, Please. Host Your Own Attentie Awards! 1 Pings/Trackbacks for "Celebrate a Certain Eye-Catching Hat and Eye-Catching Books"